A soft, luxurious brush designed to glide over the face with ease. 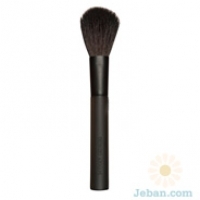 Made with natural hair, the Blush Brush features curved bristles that shape cheekbones to perfection. Designed to leave just the right amount of color on cheeks for a natural, gorgeous result. Silky bristles pamper the skin with softness.